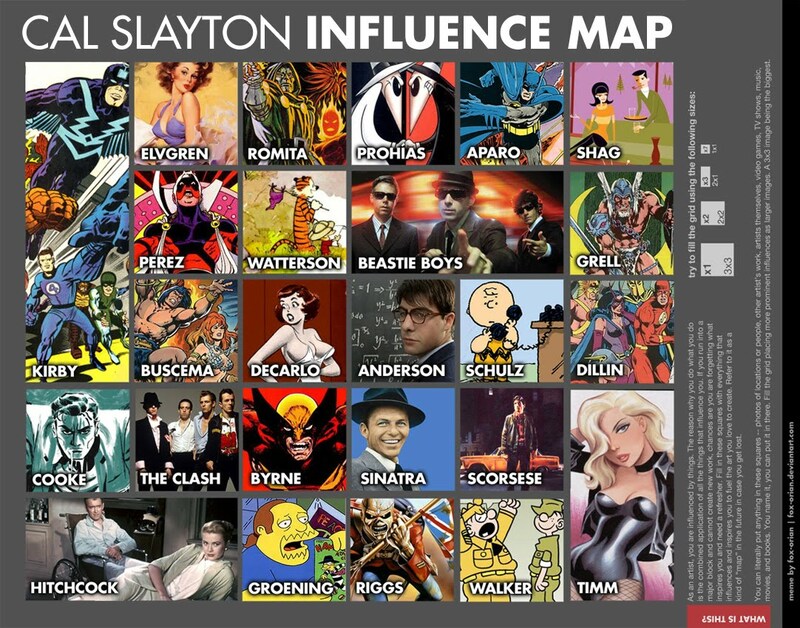 On deviantART, fox-orian started an "influence map meme" and they’ve been popping up all over different artists’ websites. I don’t really put the “me” in “meme” that often, but each time I saw one of these, I couldn’t help but think how nice they looked and how cool it would be to do one myself. I know I’m bit late to the game, but I don’t care. I knew it would be fun to make but I didn’t realize how hard it would be. Man, narrowing this group down was a challenge. Some harsh, harsh cuts were made. I could’ve done one three times this size. To make it easier, I decided just put in people (or groups) that create. Not creations. 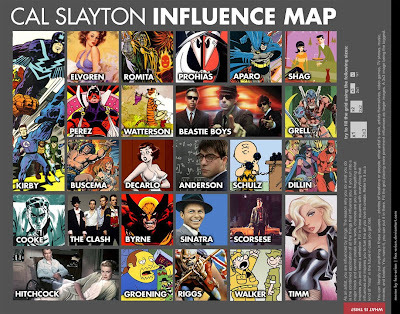 For example, Matt Groening instead of the Simpsons. So that helped by eliminating particular movies and TV shows. And I decided mainly to focus on art and only have a few musicians and directors. 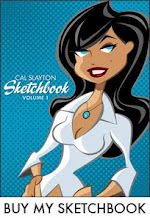 Mainly it's comic artists and cartoonists. I turned mine on it’s side to fit monitors better. Hope you like it. Make one for yourself if you haven't already. I can totally see these in your work.